Coffee is one of the most popular beverages known so far. 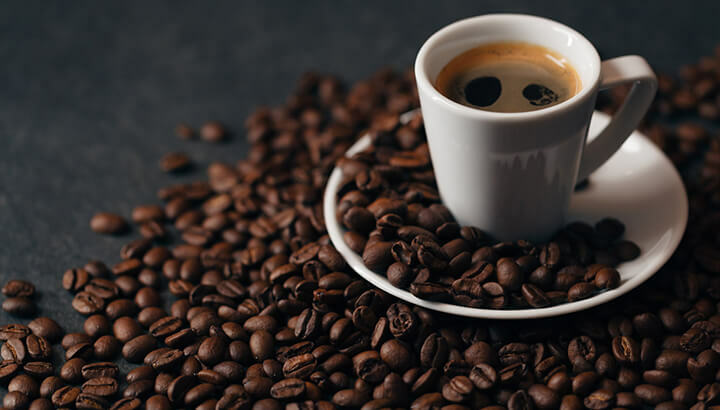 Multiple experimentations have been done on different types of coffee trends and a large variety of them are being appreciated by a fairly large number of individuals. There are multiple types of coffee items which might seem a bit strange to different individuals. Here are few of the most strange coffee trends throughout the world. Both coffee and wine are the finest beverages in their own origin. A tremendous combination of both these beverages is the coffee wine which is available in multiple flavours. Some famous flavours include Cabernet Coffee Espresso and Chardonnay Coffee Espresso. This new tradition of mixing butter in your coffee is more prevalent in America. The idea first arose from the fact that himalayans add a pinch of salt and a bit of yak butter in their tea. This experimentation with coffee turned out to be quite healthy and tasty at the same time. Kopi joss is an indonesian invention of a new style of preparation of coffee. In this type of coffee the method of preparation is same as that of any other coffee except for the final step. In the final step a small piece of coal is added into the coffee. Formosan Rock Monkeys are found in taiwan and the coffee is prepared by using the monkey who spits the coffee out after after eating the outer coverings of the coffee cherries. This is often called as the monkey spit coffee and is found at various places. Although cannabis is ban in most of the states of the world but the trend is quite common in many others. The cannabis coffee is so easy to prepare that you can make your own THC layered coffee at your home. All you need for this coffee item is to buy ground coffee and your cannabis and you are good to go. The jacu bird coffee is one of the most expensive coffees known so far. The coffee is prepared using the coffee beans consumed by Jacu Bird who consumes the berries. This coffee is an organic form of coffee in multiple ways and comes with variety of benefits. This coffee belongs to the bizarre coffee which is prepared by adding a strange additive to coffee. Salt is one such ingredient that does not go with coffee but is consumed that ways multiple times. Consuming cheese cake with coffee is quite normal but consuming coffee with cheese in it is quite strange to som. A small cube sized queso blanco cheese piece is often used in different coffee items. The world is full of strange things and some of them are described above. Some people find their coffee in the most traditional way and then there are some who like to experiment with their beverage. If you fit into the second category then you should totally try the above mentioned coffee trends.